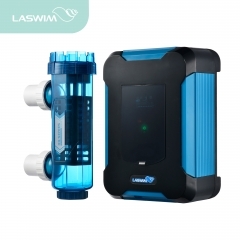 HQ salt chlorinator improves your pool water quality by using harmless table salt, instead of using harsh chemicals, it is reliable, low maintenance, much more safety to health, easy and simple programming and fully automatic operation lets you enjoy a relaxed swimming time. Salt chlorinators are an alternative means of sanitizing your pool with chlorine by electrolysis process. The electrolysis process is achieved by passing the salty water through an electrolytic cell, sodium chlorine in the water is converted into chlorine to achieve pool water disinfection. -Overheat protection: prolong the control system life span. 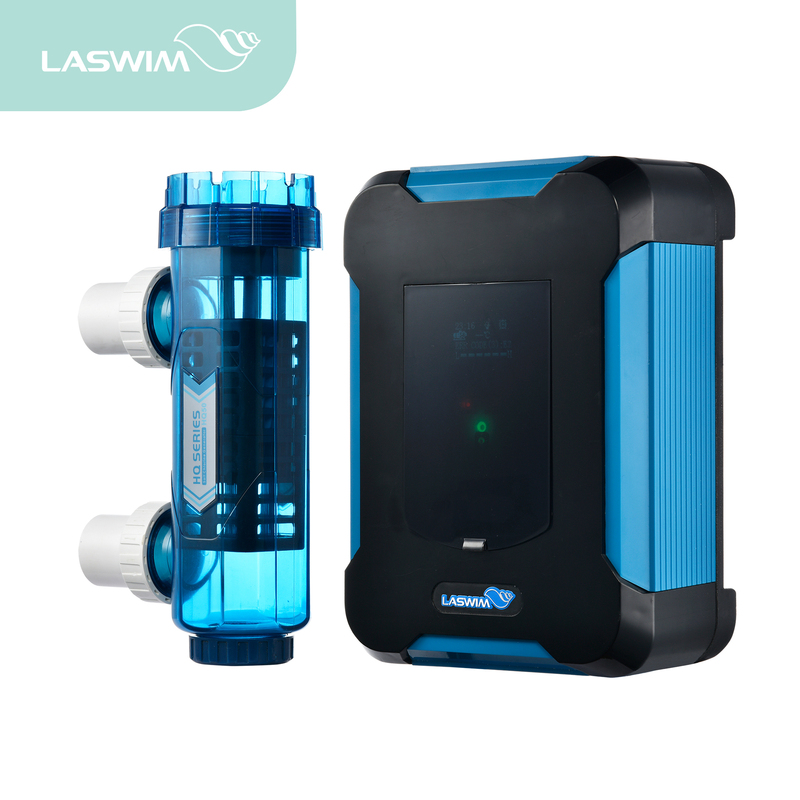 -Six different chlorine output control: easy adjustment of chlorine level, to meet demand of different time, this will save energy and environment friendly. -Easy to operate: Function menu in Chinese and English for choice, can be set by manual or automatic time control. -Two optional outlets make the installation more convenient. -Removable titanium panels are easy to install, clean and maintain. -Temperature sensor could be replaced separately, reduce the maintenance cost.